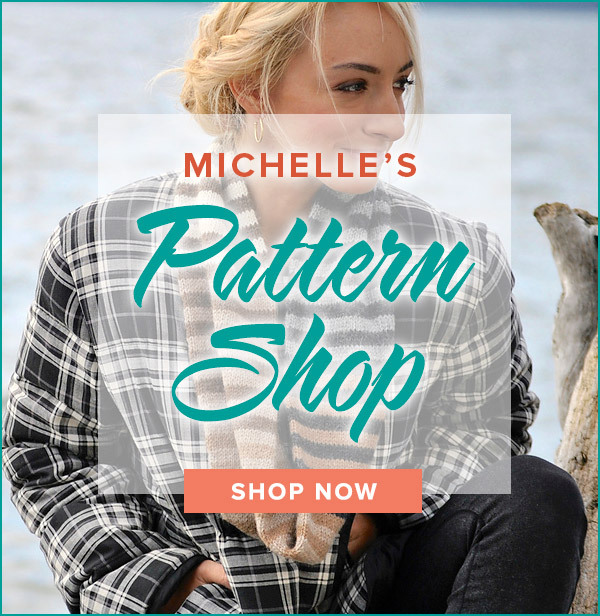 Join stockinette knitting with this easy to execute stitch that yields professional results. Absolutely! Look for the “ditch” between the stitches as in stockinette and proceed as usual. I have a video for Mattress Stitch in Garter since it is a bit different. Happy knitting! Hi! Can the mattress stitch be used to join two pieces that are not knit in stockinette? Thanks! You are the amazing one for advancing your skills! Oh my goodness. Years of looking at written and photo instructions to no avail! In just a few minutes, I now understand what I’m supposed to do here! I also have been working on the building blocks and am SO happy! I’ve been able to knit things I never thought I could before. You are amazing! You give the best instructions I have ever gotten before. Thank you. You make it all seem so easy. I can’t wait to do the mattress stitch on the baby pullover that I am making. thanks again. How nice to hear from you! I am glad that Building Blocks is doing well at your shop. I hope you have as much fun teaching it as I do. 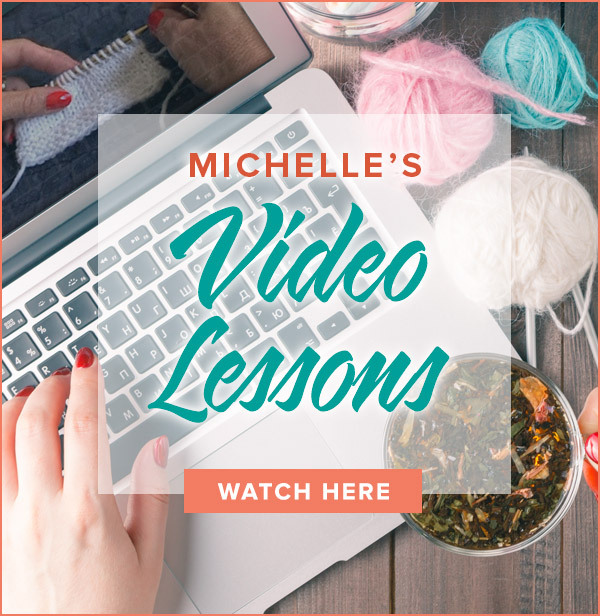 I used to dread finishing but the more I knit the more I like it – I bet the same will be true for you! Keep me updated on your class! Michelle, I was lucky to take a class with you at TNNA in Columbus. I’m currently teaching your blocks class in our store, and my knitters were very excited to know I’d met you in person. I want you to know that you have also become my “go to” for other questions as I love your tutorials. I just finished a lace sweater for my daughter and seaming has always been a frustration. (I was still using the method my mom taught me many years ago.) I feel much more confident now and look forward to finishing. Thanks! Congrats on finishing your afghan! I find that the best place to bury the seaming yarn is in the seam itself. After finishing the seam, run the tail under a few inches of the seam you just created. It’s quick and fairly invisible. I’m busy working on my second book and I hope you will join me for a course on colorwork. Happy knitting! I made the Building Blocks afghan with a group at my local yarn store. Loved the book and your videos are amazing. I am joining my squares now and have a question. How do i anchor the ends of my yarn that I use to sew the blocks together? D I just bury the ends in my work the same way I wove in the ends? I’m so happy to be of help to you. Thanks for knitting Building Blocks with me! What a wonderful site! I am currently doing your building blocks afghan at our local yarn store. I am between an beginner/intermediate knitter and am constantly overlooking some patterns because I don’t know the stitches. Your book gave this website so I figured I would check it out as I did not know how to make a bobble (your third square) and was delighted to see how easy it was to follow your instruction. Another pattern wanted the mattress seam and lucky me, you had that as well. I am putting this in my favorites to come back to many times I’m sure! Thank you for this site! Yes, you will be seaming a double thickness in the button band area. Just as long as you catch some of the stitches from the underneath layer you will be fine. Let me know how you make out! I would like to clarify, we are stitching 3 layer at one time when we get to the button edge? Or do we do one layer and then the top layer? I hope this makes sense, not sure how to explain it. Thanks! It was so nice of you to take the time to write to me. I am so grateful that my video has been helpful to you. Enjoy! This is another wonderful tutorial. I cannot thank you enough. I have been doing mattress stitch for some years and more often than not the resulting seams have looked a bit wonky. Now they can look perfect. The key new info was the easing in using one bar to two bars! I always did two full stitches which was just not pretty.